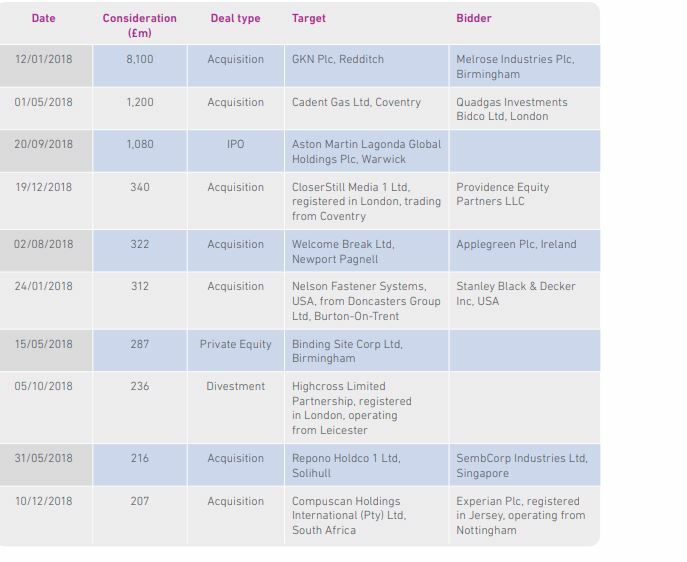 Deal activity across the Midlands region has remained “relatively static” in 2018, according to the latest M&A report and League Tables from Experian. Some 977 deals were announced across the region in 2018 – just 1% less than the 987 posted in 2017. The total is also just over 4% less than the 1,020 recorded in 2016 but remains higher than all other yearly totals in the last decade. Overall, total deal value fell by 1.8% to £18.2bn, but is 35% higher than the 2016 total despite the slightly lower volumes. 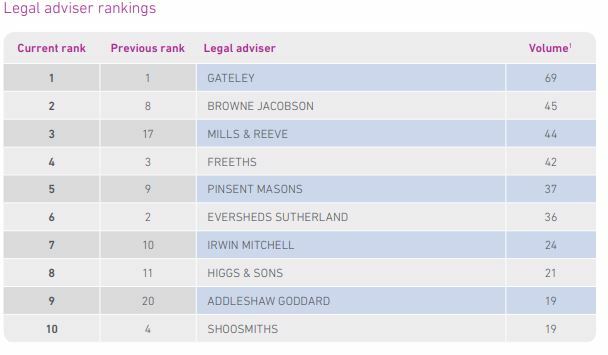 Gateley was once again the region’s most active legal adviser and by a considerable margin, advising on a total of 69 deals; second placed Browne Jacobson was on 45.
of the financial value table on £8.5bn, with Rothschild in second-place position advising on £8.2bn worth of deals. The Midlands was the third busiest region of the UK in 2018, with involvement in 13% of all deals by volume and 4.9% by total value. Manufacturing was again the busiest industry of the year, with 308 announced deals worth £12.1bn, accounting for approximately 32% of all deals and almost 67% of total overall value for the region.